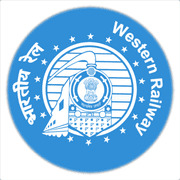 Western Railway Rajkot Recruitment Apprentices | Apply Offline for 54 Posts ~ :: GujaratGk :: Official Site :: Gujarat's No. 1 Educational Website..
Western Railway Rajkot Division invites applications for engagement of Trade Apprentices under Apprentice Act 1961 in various designated trades from the wards of Railway employees and others who are Indian Nationals. The last date for submission of applications is 17th November 2017. Age Limit (as on 06/10/2017): Minimum 15 Years and should not have completed 24 Years of Age. The upper age relaxation 05 Years for SC / ST and 03 Years OBC. Educational Qualification: 10th Class Pass with minimum 50% aggregate marks and ITI in relevant trade marks. How to Apply: Eligible candidates apply in the prescribed application format. The duly completed application along with photo-copies of documents duly attested by Gazetted officers addressed to Divisional Railway Manager's Office, Establishment Branch, Personnel Department, EM Section, Kothi Compound, Rajkot - 360001. The last date of submission of application is 17/11/2017 up to 17:00 Hours.